To evaluate the radiographic and clinical outcomes of the combination of platelet-rich fibrin matrix (PRFM) with beta-tricalcium phosphate (β-TCP) and bone marrow aspirate (BMA) as a graft alternative in posterolateral lumbar fusion procedures. Researchers evaluated 50 consecutive patients undergoing one-level to three-level posterolateral lumbar fusion procedures, resulting in a total of 66 operated levels. The primary outcome was evidence of radiographic fusion at 1-year follow-up, assessed by three independent evaluators using the Lenke scoring system. Secondary outcomes included back and leg VAS scores, incidence of reoperations and complications, return-to-work status, and opioid use. At 1-year follow-up, radiographic fusion was observed in 92.4% (61/66) of operated levels. 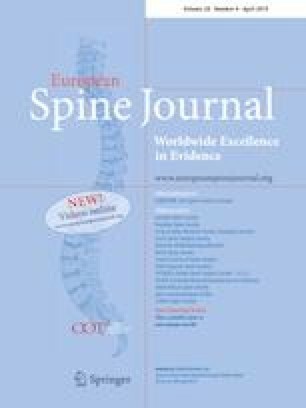 There was significant improvement in VAS scores for both back and leg pain (p < 0.05). Compared to baseline figures, the number of patients using opioid analgesics at 12-months decreased by 38%. The majority (31/50) of patients were retired, yet 68% of employed patients (n = 19) were able to return to work. No surgical site infections were noted, and no revision surgery at the operated level was required. This is the first report to analyze the combination of PRFM with β-TCP and BMA for PLF procedures. Our results indicate a rate of fusion similar to those reported using iliac crest bone graft (ICBG), while avoiding donor site morbidity related to ICBG harvesting such as hematoma, pain, and infection. The online version of this article ( https://doi.org/10.1007/s00586-018-5832-5) contains supplementary material, which is available to authorized users. Dr. Antonio Brecevich discloses consulting and stock options from Vertical Spine. Dr. Justin Iorio discloses consulting and royalties from Medicrea. Dr. Frank Cammisa discloses stock options from Vertical Spine and research support from Integra Life Sciences. Dr. Celeste Abjornson discloses research support from Integra Life Sciences. For the remaining authors, no potential conflict of interests were declared. This study was approved by the Hospital for Special Surgery’s Institutional Review Board (IRB). All procedures performed in studies involving human participants were in accordance with the ethical standards of the institutional and/or national research committee and with the 1964 Helsinki declaration and its later amendments or comparable ethical standards. For this type of study, formal consent was not required.